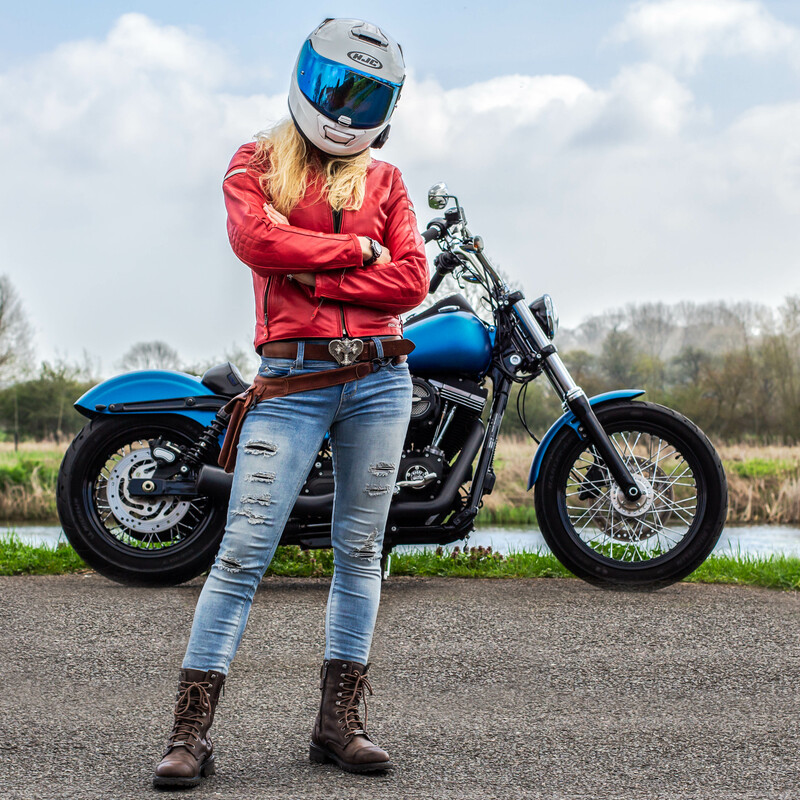 As the only legally required piece of motorcycle safety equipment it’s no surprise that your helmet is the the single most important piece of safety equipment you’ll wear. If an accident happens your helmet will have one moment to potentially save your life, and according to research helmets are 37% effective at saving lives. A recent Devitt study shows 96% of bikers would still wear a helmet even if the compulsory law changed. So, given the importance, let’s help you decide if the HJC RPHA 70 full face motorbike helmet is the protection for you as it’s not just about safety. The South Korean helmet maker, HJC, has been producing motorcycle helmets for about 45 years now, and are known for providing decent quality, affordable crash helmets. 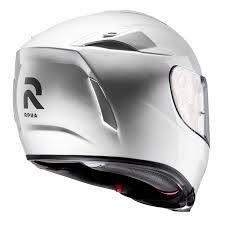 So how to I rate the HJC RPHA 70 helmet? Of course, impact resistance is only one part of the safety equation when it comes to an effective crash helmet. When the RPHA 70 was SHARP tested for energy absorption it was given a 3-star safety rating out of 5. Not the best, however, it’s worth remembering that the most important thing with any helmet is to get one that fits right – a SHARP one-star helmet that fits perfectly will protect you better than a five star helmet that’s a poor fit. Some other useful safety features includes the emergency quick removal cheek pads (EQRS) – designed to help removing the helmet in an emergency, and the double-d ring fasteners – it might be an old fashioned way to fasten a helmet but they’re super easy once you get the hang of them – and safe if you adjust them correctly. I always find helmets give me a massive looking head, but HJC have done a superb job at creating a chunky but purposeful look combined with an overall shape that is designed to trick the eye into thinking it’s smaller. My head, at last, doesn’t look overwhelmingly large. That’s a huge win for me. The lines and vents all sit comfortably in the helmet and make for a slightly aggressive but slick look. On top of the wide selection of colours and graphics HJC have created, as with most lids, you can buy a range of different visors to style out our look too with the HJC RPHA 70 full face motorbike helmet. While it looks good, which is important, it’s also about how it functions. The external design works in reducing buffeting and improving stability, while the shape also creates a pressure differential that’ll help draw air through the helmet for ventilation keeping your head cool. And for anyone who rides you’ll know how important ventilation is, both for hot summer days but also for demisting. I must add that the light weight design makes long distance riding a doddle. No heavy achy necks from the head weight. It’s a super comfortable, balanced and light weight helmet. The bit I probably love the most about it is the built-in visor. 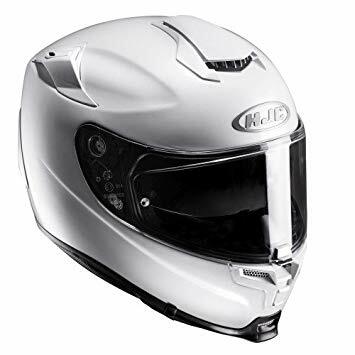 The hassle of having to put sunglasses on and off, or worse deciding before you pull away if you want sunglass on or off is something totally avoided with the HJC RPHA 70 full face motorbike helmet. A small easily located slider operates an integrated sun-shield that is outstanding for optical quality and coverage of the eye. Enter a dark tunnel or dappled forest area, turn a corner into bright sunlight and you can simply flip the shades up or down without any risk to your riding control. When it comes to road noise, as a light helmet you could anticipate a compromise, however the RPHA 70 is exceptionally quiet. 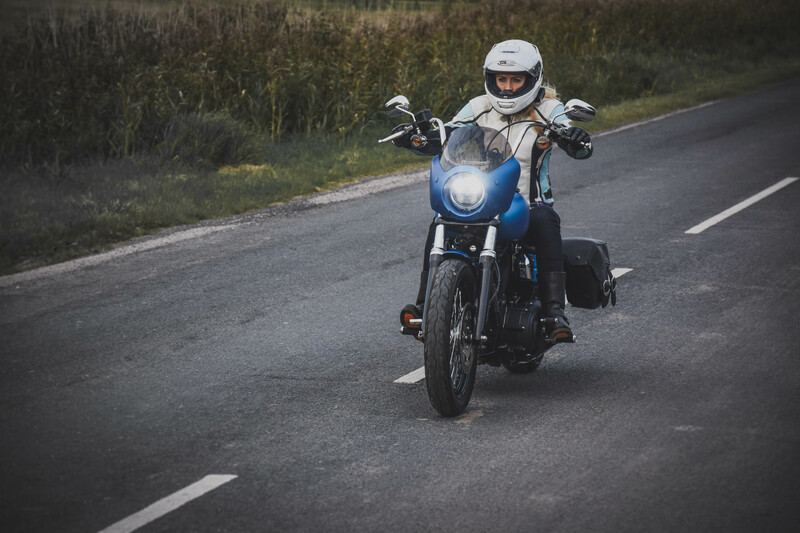 The noise is perfectly manageable on long journeys without ear protection, however I do tend to wear my moulded filter ear plugs – mainly because my Harley gets a little fatiguing in volume but mostly to simply protect my hearing with all the road miles. With or without ear protection you’ll be pleased by the quiet ride. One final item worth mentioning is the ‘cracked open’ position of the main visor. 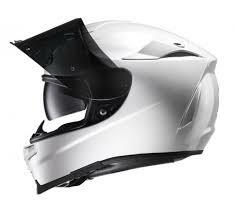 This simply enables you to have the visor slightly open while maintaining full protection to the face. An ace feature for defogging and saving the need for breath holding at traffic lights. Expect to pay around £200 for plain with prices increasing for graphics. How much is your head worth? I highly rate my RPHA 70 full face motorbike helmet, it’s comfortable, offers great ventilation and safety combined with a slick looking design and inbuilt sunglasses. I love mine and would most certainly recommend.